Make a colourful, summery decoration that will remind you of the seaside all year long. 2. 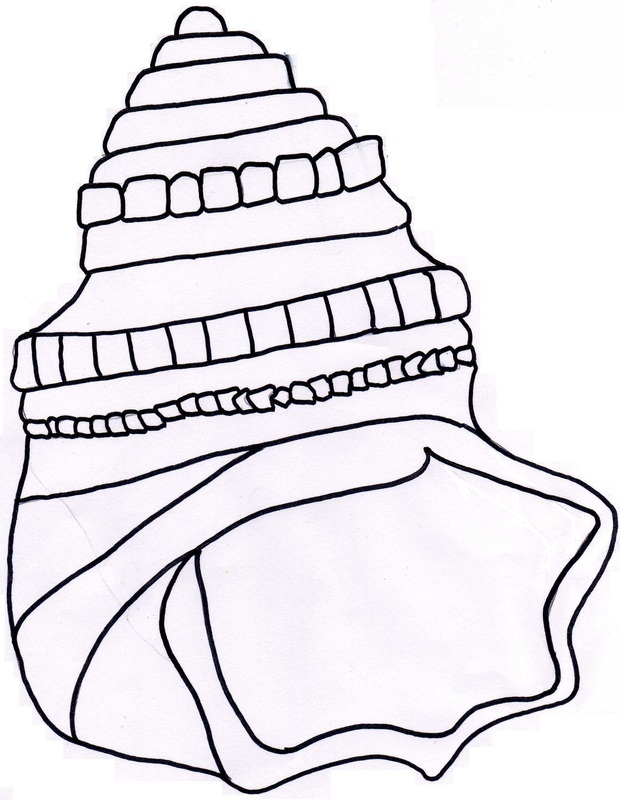 Colour in the shell. You can colour around the shell, or if you prefer, cut out the shell once you have finished and glue it onto coloured (I used blue) paper. 3. 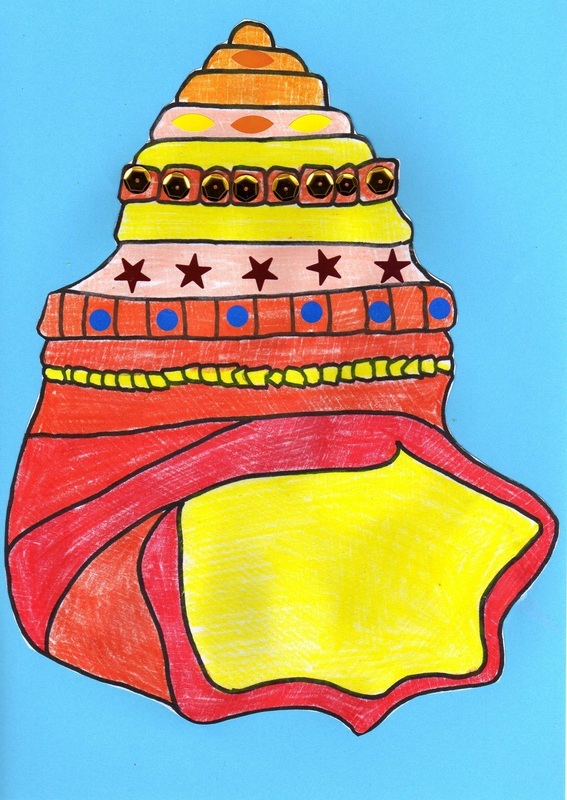 Decorate your shell - you could use stickers, glitter, glitter glue, sequins, pieces of shiny paper or anything else that you have handy. To Print out the template, right click on the image below. Save the image to your computer, then print out the image. open the pdf doc below and print.